Trevor Noah Will Replace Jon Stewart As Host Of 'The Daily Show' : The Two-Way Comedy Central President Michele Ganeless says that Trevor Noah "has a huge international following and is poised to explode here in America." 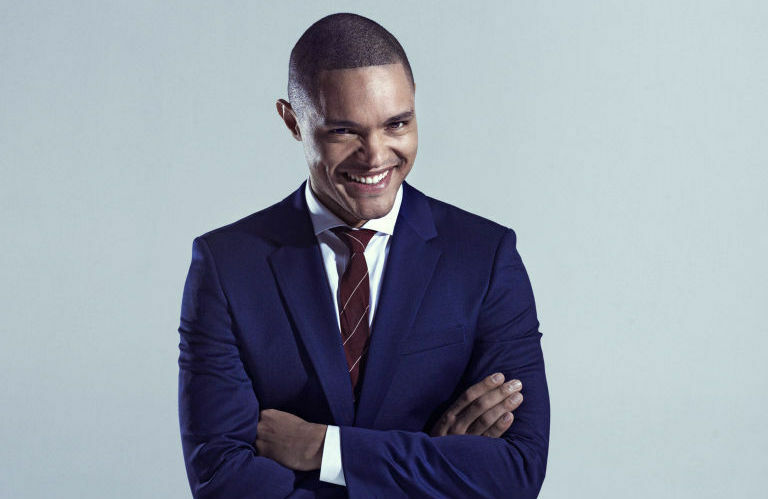 Trevor Noah, 31, will become the new host of The Daily Show later this year. South African comedian Trevor Noah will become the new host of Comedy Central's The Daily Show, stepping into the role Jon Stewart has filled for 16 years. Confirming reports of his new job Monday morning, Noah tweeted, "No-one can replace Jon Stewart. But together with the amazing team at The Daily Show, we will continue to make this the best damn news show!" Comedy Central says the switch will happen later this year. When Stewart announced his departure from the show last month, he did not name a final day. He said it could come as early as July or as late as this fall or winter. Noah, 31, has recently served as a senior international correspondent on The Daily Show, filing reports on events such as the Islamist group Boko Haram's violent attacks in Nigeria. "Sometimes it just feels like Africa's the Vegas of Islamic terror," he said in December. "What happens in Africa, stays in Africa." Comedy Central President Michele Ganeless says that Noah "has a huge international following and is poised to explode here in America." In an interview with NPR's Arun Rath earlier this year, Noah said, "What I've always said about comedy is if you do it in the right way, you can say anything to anybody because they know where you're coming from." He added, "They know it's not malicious." "I think I may have become a comedian because I still got it from my family. My mother is extremely funny, my grandfather was the funniest in the family so it was something that's been in the family on my mother's side. ... My father's Swiss, so humor doesn't play too well on his side. Everything is matter-of-fact and there's chocolate involved. But when it comes to my mother's side of the family, that was really the one currency we had was laughter. ... Your laughter takes you through everything." Back in 2012, Noah spoke to NPR about making the transition to performing in the United States. He said he noticed some interesting dynamics in the way Americans speak about race. He noted that in the U.S., the word "urban" is often used as a euphemism for "black." "I got to Baltimore, and I was expecting ... because urban means built up and new, you know. So I got there and I was, 'Whoa, it's not as urban as people told me. ... But it's very black. I'll tell you that much.' "
"They wait for you to achieve success before they give you the black standard. That's the upgrade. Before then, they say you're mixed. You achieve success and you get upgraded to black. And all the famous mixed people do it. Before, they all were mixed. ... All those singers — Alicia Keys, Mariah Carey — they go, oh, you know, mixed, and then they become famous, they go, black singers. Tiger Woods is a black golfer although he's mixed. He doesn't even refer to himself as black, you know? "And the most famous person is Barack Obama, mixed half and half, but you say America's first black president. But when he was running, they called him the mixed candidate, you know, which is very interesting for me. You see how the dynamic goes." "Noah joined The Daily Show in 2014 as a contributor. He made his U.S. television debut in 2012 on The Tonight Show with Jay Leno and has also appeared on Late Show with David Letterman, becoming the first South African stand-up comedian to appear on either late night show. Noah has hosted numerous television shows including his own late night talk show in his native country, Tonight with Trevor Noah."